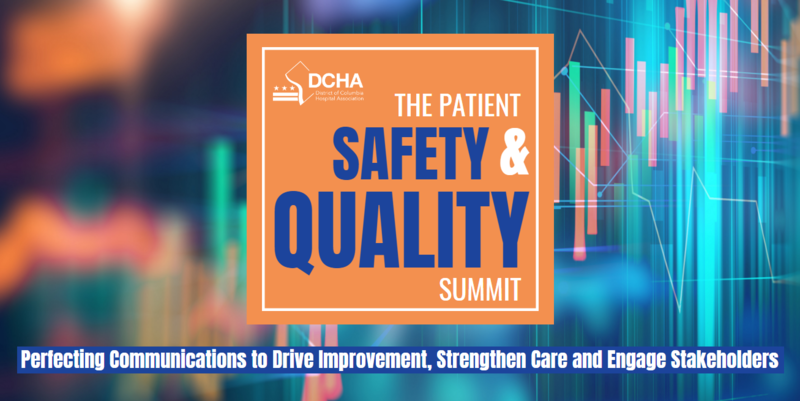 This one-day event will explore how effective, thoughtful communications can make a noticeable difference in the experience and safety of patients resulting in better patient outcomes. We've all been in situations with patients, colleagues or teams where our communications could have been more transparent and intentional. This summit will weave communications into all sessions and speakers — from human interactions into the workplace to communicating data to tell a story to using an ethical framework to improve communications with individuals, teams, patients and families. Without effective communications you can't drive change, prioritize for success or create a strong culture of care. DCHA is honored to highlight the incredible work of our member hospitals and their champions through a generous contribution from Ascension Health. The awards will be presented to two individuals; one clinical professional, one non-clinical professional, and three hospital teams who demonstrate a commitment to driving improvement, strengthening care and engaging stakeholders. Award submissions should showcase how individuals and hospital teams go above and beyond normal daily work to address and meet the overall health and wellness needs of hospital staff, patients, caregivers and the communities they serve. Have you ever worked with a crab? You know, the type of people that complain about everything, even free food! Then you understand that continuous workplace negativity saps the energy out of an organization and distracts everyone from work and productivity. It is not okay to come to work everyday in a bad mood because the job is hard! 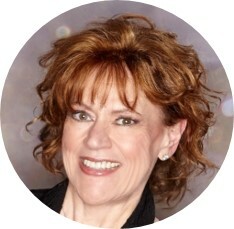 This is the message that Liz Jazwiec will discuss by telling her personal story, laced with her notorious humor and effective tools to manage morale, eliminate victim thinking, and have fun. Using real-life examples and anecdotes from her bestselling book, Eat THAT Cookie! she will provide insights to make positive thinking work for you and the shadow you cast on others. Liz concludes with a straightforward approach to the connection between job satisfaction and success, creating a enjoyable workplace and choosing to be happy. Liz Jazwiec, R.N. is an internationally renowned speaker, strategist and author who has shared her passion for leadership, engagement and service with audiences across all industries. She is the award-winning author of the bestselling books Eat THAT Cookie!, Hey Cupcake! We are ALL Leaders, and Service Excellence is as Easy as P.I.E. (Perception Is Everything). She’s also been a longtime hospital officer who helped raise service scores at Chicago, Illinois’ Holy Cross Hospital from the 5th to the 99th percentile in just a few years. Today, she uses that expertise to inspire other organizations interested in building a culture where excellence is driven by strong leaders and engaged employees. You’re sure to enjoy her creative and viable suggestions for addressing some of the difficult issues facing organizations today. Everyone understands the value of concepts like “change management” and “cultural competence,” but many of our major initiatives still fail because of stakeholder misalignment or outright resistance. An often overlooked skillset – “ethical competence” – can fill the gap. An ethically competent communicator harmonizes competing values, not just competing objectives, and thereby overcomes the pre-rational barriers that thwart success. Attendees will take away a clearer understanding of the seven primary ethical paradigms as well as a deeper appreciation for how those paradigms affect motivation and can be affected, in turn, by alternative communication strategies. 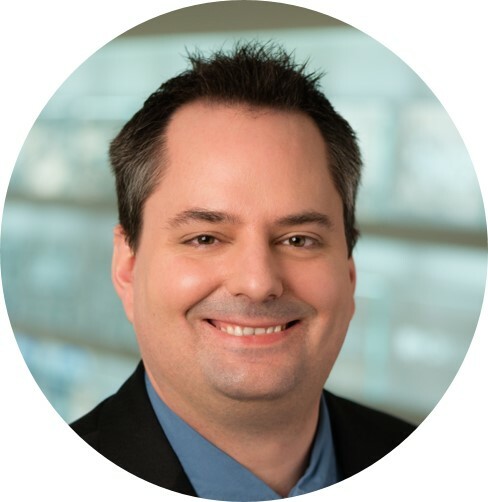 Jason Gillikin is the principal consultant at Gillikin & Associates, a Michigan-based health care quality consulting firm focused on analytics, population health management and the culture of quality. He’s spent nearly 20 years in the health care industry as a leader in managed care, delivery systems and multispecialty practices. He earned a degree in moral philosophy from Western Michigan University and served for four years as the administrator of a biomedical ethics committee for an academic medical center. He is a former member of the board of directors of the National Association for Healthcare Quality, where he served as co-chair and lead author of NAHQ’s 2018 revision to its code of ethics. How Effective Are Your Data Conversations? Every day we work to communicate effectively with our human coworkers, patients and leadership — that’s the domain of our written, verbal and non-verbal communication. In addition to those ‘human’ communication paths, we must also be skilled in sending and receiving important messages with our data. Unfortunately, sometimes trying to figure out what our data is telling us ends up being a frustrating “failure to communicate!” — or even worse, our data is yelling warnings at us that we just don’t hear. 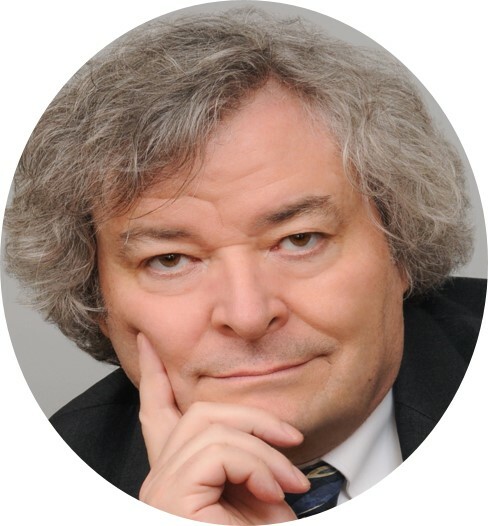 Ken's session will discuss how we can improve our ability to use the ‘language of data’ to better communicate within our organization and what we as receivers of data should set as expectations. Attendees will take home a solid, conceptual framework for setting expectations for improving your organization’s data conversations – making them more effective and less frustrating. Mr. Rohde is President of KRRohde LLC and senior consultant for The Greeley Company. He brings 38+ years of experience in quality management to his work in health care, manufacturing and nuclear power. Mr. Rohde's roles in performance improvement and project management make him uniquely qualified to assist organizational leaders develop solutions to their toughest challenges. He instructs, speaks, and consults in the areas of effective data collection, analysis, trending and communication; error reduction strategies, root cause and apparent cause analysis, failure modes and effects analysis, process simplification, patient safety evaluation and improvement, change management, corrective action program evaluation and redesign, and human performance evaluations. Mr. Rohde also specializes in technology-based approaches to preventing human errors and analyzing and managing the overall cost of quality. Speed Rounds are fast-paced, high-impact sessions providing attendees an opportunity to learn about a variety of health care and leadership topics in a short period of time. There will be six, 15-minute sessions to choose from. Communication is an essential element of quality care outcomes across a patient's care continuum from community to health care facility-based settings. Communication gaps with patients, families, caregivers and providers may yield serious consequences, affecting treatment adherence, medication administration, follow-up care and health care decision making. The registered nurse plays a pivotal role in care communication for provider visits, home visits or in between visits, and is best positioned to be an advocate for patients across settings. Participants in this speed session will be introduced to models for effective clinical care team communication and how some of these strategies can be deployed to avoid communication breaks with all parties involved in a patient's care. Presenter: Jane Bonner, R.N. Jane Bonner is a Registered Nurse who received her Masters of Science in Nursing Education from Liberty University. She is a clinical instructor with Prince George’s Community College and Children’s National and teaches nursing theory, working directly with students in an inpatient clinical care setting. Jane is experienced in evaluating outcomes of nurse training and developing customized skill development programs for nurses at various stages of their careers. 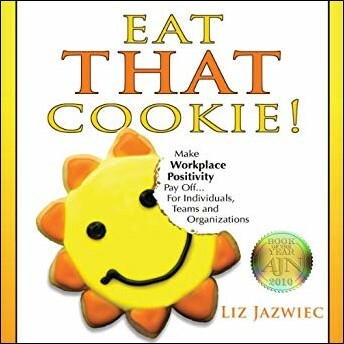 The first 50 paid registrants will receive an autographed copy of Liz's book, Eat That Cookie! Making Workplace Positivity Pay Off...For Individuals, Teams and Organizations.